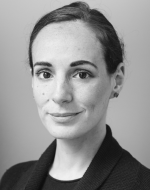 Livia Paggi manages GPW’s Political Risk practice. Livia advises investors in the mining sector on managing political, regulatory and operational risks in emerging markets. Over the past decade, Livia has developed particular expertise on political developments in Russia, Central Asia and Turkey. She is a sought-after speaker and regularly provides commentary for the media, including for the BBC, Sky News, Al Jazeera, CNN and Financial Times. Livia has been awarded fellowships from the Harriman Institute and Alfa Bank for her work on Russia and the former Soviet Union. In 2017 she was selected as a Young Leader by the Council for the United States and Italy. Livia holds a Bachelor’s Degree in Political Science from Columbia University and Masters Degree from Imperial College in Energy Policy.